Did you know that there's a new gadget outlet in the Philippines where you can purchase Android smartphones for a discounted price? According to its owners, with so many promoters aiming to lure a customer to choose the brand that they sell, Android Zone cuts through the clutter and guides its customers through their unbiased 'Azone Expert Staff' recommendation to help pinpoint the best handset that suits the consumer's needs and lifestyle. Apart from that, Android Zone regularly mounts gadget sales that let you buy the Android smartphone that you are eyeing for less! 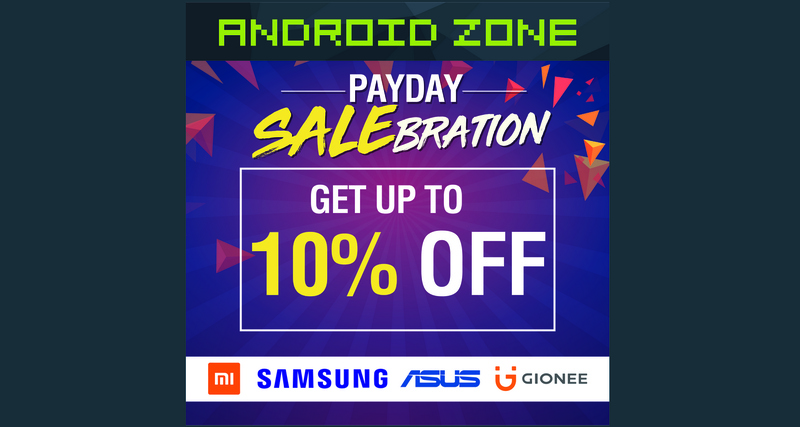 In fact, on September 28, 2018, Android Zone launched its PayDay SALEbration wherein they slashed up to 10% off the prices of some of the most in-demand handsets currently. I believe this sale is still on going so you can still head on to one of their outlets to enjoy the discount.